Quintessential Mariachi music, flamenco beats, great food and entertainment! The 33d Annual Old Town Fiesta Cinco de Mayo promises great fun and much more. To be held from 5th to 7th May, 2017 in Old Town (the birthplace of San Diego); the Cinco de Mayo is a celebration of Mexican spirit, culture and history. 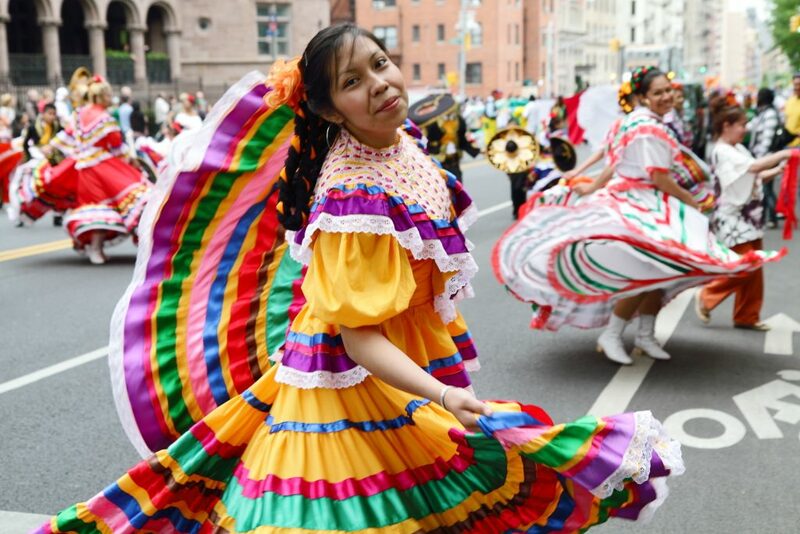 Considered as the largest Cinco de Mayo celebration north of the border, this event is a window to the rich heritage, history and culture of Mexico. Music and dance will fill the air at the 3-day extravaganza. Enjoy the flamenco beats, and the Norteno flairs – a genre of Mexican music. Not to forget the Mariachi music – the quintessential sound of Mexico. Dating back to hundreds of years, Mariachi music celebrates the struggles, the joys and the pride of Mexican people. A typical Mariachi music band plays music using violins, trumpets, guitars, round-backed guitar called the vihuela and a Mexican folk harp. Apart from music and dance, go and explore the museums, check out the specialty shops and buy souvenirs or unique items ranging from jewelry, handmade leather items and bric-a-brac typical of the Mexican culture. Enjoy riding the stagecoach, chill out in the beer garden or sample tequila in the tequila sampling area. As for food, you can try out authentic Mexican delicacies at any of the 20 restaurants in Old Town. This three-day FREE festival guarantees a spectacular array of activities and entertainment that is sure to delight you and the entire family. If you want to experience great Mariachi music, sample Mexican tequila and savor authentic Mexican cuisine, then the Old Town Fiesta Cinco de Mayo is the place to be in. If you are coming on San Diego vacation with friends or family, you can include Cinco de Mayo event in your traveling plan. For your convenience, stay in a hotel located close to Old Town. Regarded as a value price leader amongst budget hotels in San Diego, California Suites Hotel is located in the middle of San Diego from where Old Town and many other attractions are a stone’s throw away. From the hotel, you can commute easily to all these destinations and enjoy such colorful festivals to the maximum. Being San Diego’s AAA rated San Diego hotel, California Suites Hotel makes your stay comfortable and memorable one with continental breakfast, Wireless Internet access, large warm swimming pool, free parking, safe deposit box, spa tub and more.